In my previous post we went throught the steps on how to get Rocket Chat up and running. 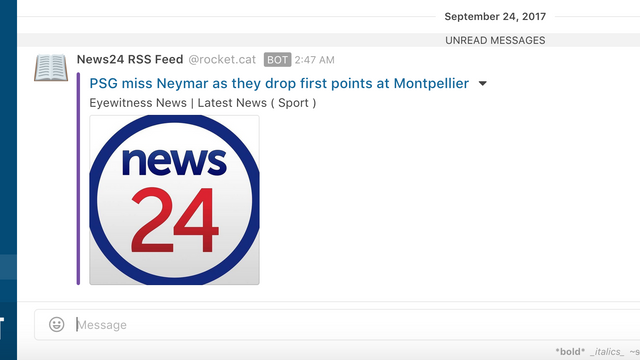 We will setup a Incoming Webhook, so that we can use python and the requests and feedparser library to get data from an RSS News feed to get Sport news, and for simplistic reasons, we will only grab one article, and then post it to our news channel. Once you saved the webhook, grab the Webhook URL as we will need it. That's it for now, In a future post I will setup a Bot on RocketChat to interact with commands that it receives.